In the next 10 years, a rapid changing landscape will emerge in Asia where the opportunities for Asian companies to benefit from branding efforts will be larger than ever before. The growing emphasis on better financial value creation, competitiveness and differentiation through brand equity will move up the boardroom agenda. 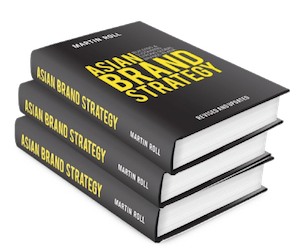 Brand leadership will become one of the most prominent management issues in Asia Pacific. But before this new momentum shift can take place, changes are necessary. Asian companies and their management teams need to undertake five important steps to unleash and reach their untapped potential. A more acute perspective on consumer behavior patterns: Asia is not a homogenous entity. Even more importantly, Asian countries are more and more traversed by cultural flows permeating the region: cinema, music and fashion trends that are present extend beyond national borders to capture the imagination of millions. Branding and brands do not operate in vacuum, but are closely linked to developments in society, to people and to cultures. Korean cosmetic firm Amorepacific and its 10 different brands is a great example of how Asian firms can create and sustain brands based on their own cultures instead of just replicating already established global brands. The Korean Wave started in the late 1990s and has paved the way for Korean firms to expand their brands across the region. The Korean Wave, or “Hallyu” which means “flow of Korea”, derived from a Chinese word which Chinese media used to describe the Korean phenomenon when it first emerged in in the mid-1990s. Abandon the idea of an oriental Asia of the past: Asian consumers are all vying for an Asian type of modernity that has nothing to do with colonial imagery, and managers need to adapt to this new perspective. The trick is to balance legacy and vintage with modernity and contemporary edge. Think of the growth of Hong Kong-based fashion retail brand Shanghai Tang founded by Sir David Tang in 1994, and how the firm has built a strong franchise on its modern interpretation of Chinese culture. The fundamental design concept of Shanghai Tang is inspired by traditional Han Chinese clothing combined with the modernity of the 21st century. The Shanghai Tang brand is recognized for its use of bright colors in design, retail store design and packaging. To create iconic brands, Asian managers will have to become trendsetters: The perspective is that, in order to be successful, Asian brands need to capture the spirit of the region, but they also need to lead the way by creating that spirit. It is therefore important that Asian firms spend more on innovation, design and technology to become trendsetters. They are forced to move up the R&D value chain and to develop their own intellectual property and trademarks. All strategies and actions must be aligned around the brand: This shift can be achieved only if everybody in the company is convinced by the power of branding, and this new paradigm for leadership must be led by the Asian boardroom, its CEO and senior executives. Brands can also help to recruit and maintain better talent, and it can expand a company’s market reach and growth potential. The strengths of brands like Samsung, Hyundai, Singapore Airlines, Amanresorts, HSBC, Jim Thompson, Lenovo and Huawei have made it easier to recruit and maintain global talents. Complacency is the enemy of strong brands. The strongest brands are focusing heavily on innovation and quality in all aspects of their operations and maintain consistency. For example, Asian luxury resort brand Banyan Tree Hotels & Resorts and the coffee retail brand Starbucks never advertised to expand their brands but used many of the other customer touch points to create strong customer experiences. That enticed customers to become brand ambassadors for the brand and helped the brands to grow successfully. The business landscape is changing almost every day in every industry. Hence the corporation needs to evaluate and possibly adjust the branding strategy on a regular basis. Obviously, a brand should stay relevant, differentiated and consistent throughout time, so it is a crucial balance. The basic parts of the branding strategy are not to be changed often as they are the basic components. The changes are rather small and involve the thousands of daily actions and interpersonal behaviours, which the corporations employ as part of the brand marketing efforts. But make sure complacency does not take root in the organization and affects the goal setting. The strong brands are the ones which are driven forward by owners and managers whom never get tired of raising their own bars and demonstrate leadership. They become their own change agents – and brand champions for great brands.